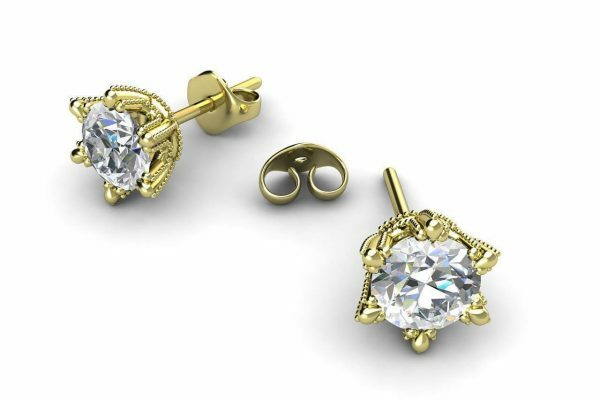 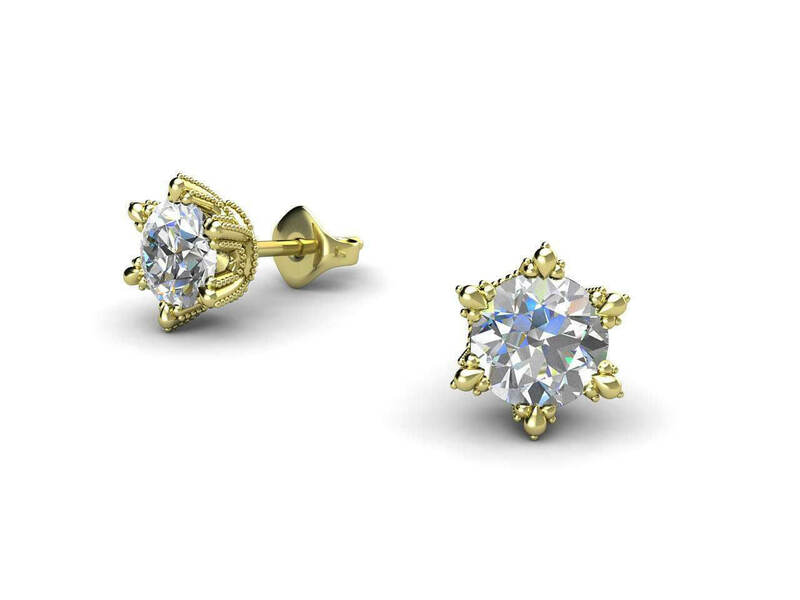 This eye-catching star shaped 6 claw stud earrings are a unique design. 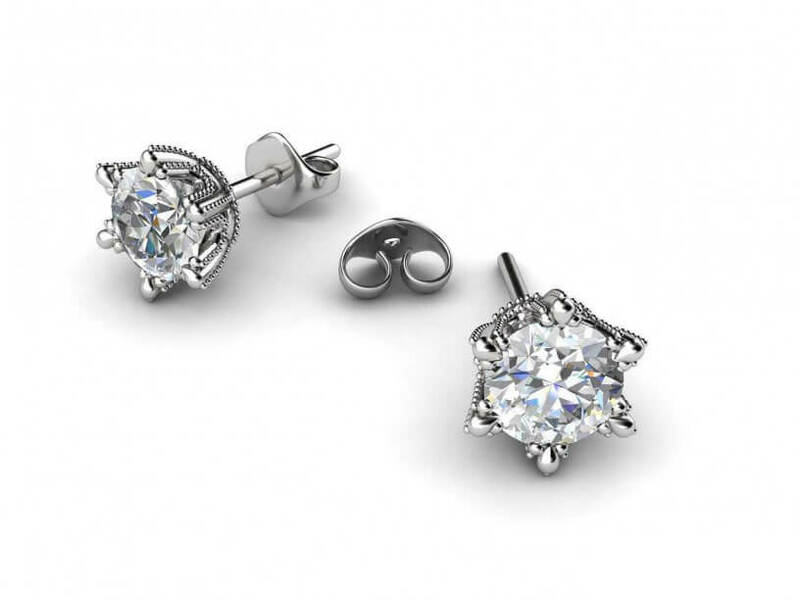 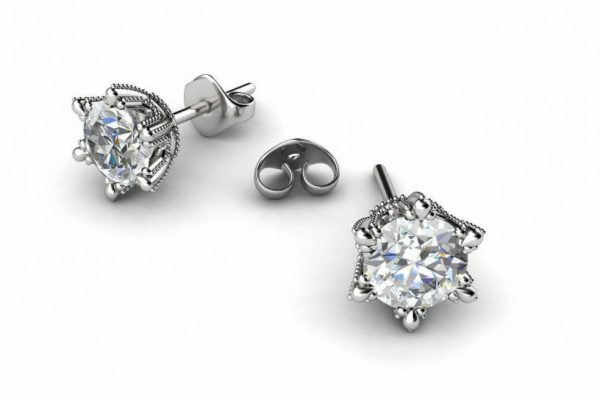 They are set with a pair matched round brilliant cut diamonds of 0.25ct total minimum weight. Can be made in 18k white gold, yellow gold or platinum with a variety of diamond sizes.